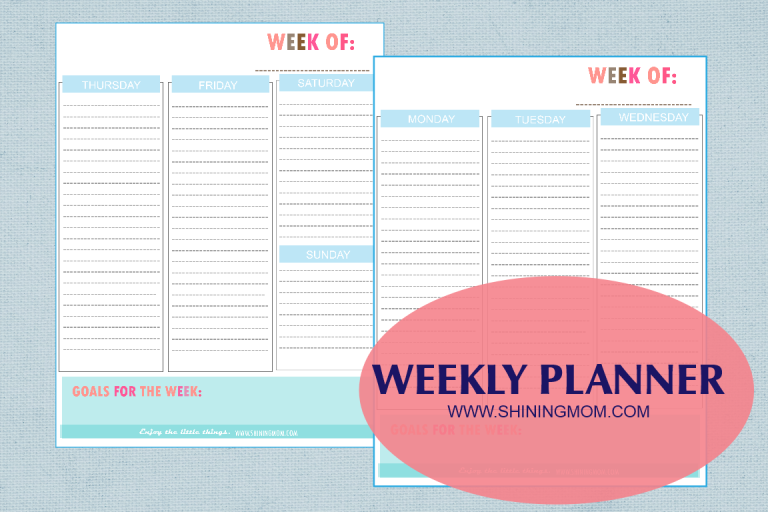 Freebie Monday: Stay organized weekly! It has been quite a while since I posted a printable for our Freebie Monday, right? It’s because ever since I gave birth to my second love, my hands have always been so full! I’m happy that last night, my newborn slept for six hours straight (a milestone!) and so the momma here had the chance to make a freebie that she really needs as well: a weekly planner. I am so particularly passionate about organizing my time but for the past weeks, I placed everything at bay since my focus was with our newborn. You know how difficult (and joyful) it is to have a newborn– I breastfeed by demand, I put my baby to sleep, I clean his poo and pee, and so on. I do all these with barely a few hours of sleep. But since I feel that my baby is now easier to manage somehow, I need to get back on track because I will be in full work-mode again as soon! 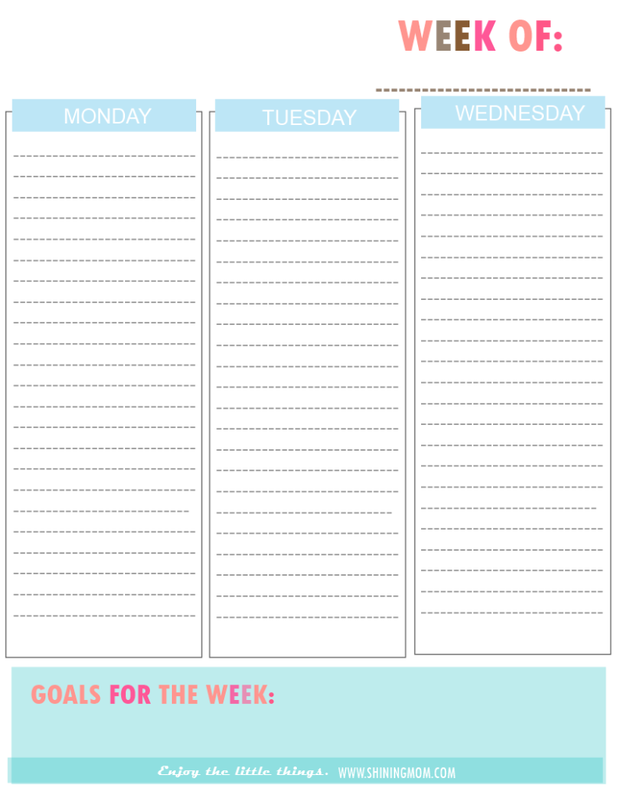 Here then is the time management planner I created for myself (yup,haha!) to clear my mind and I am sharing them on the blog today because I know we all have a lot on our plate hence all the more that we need to organize our time! 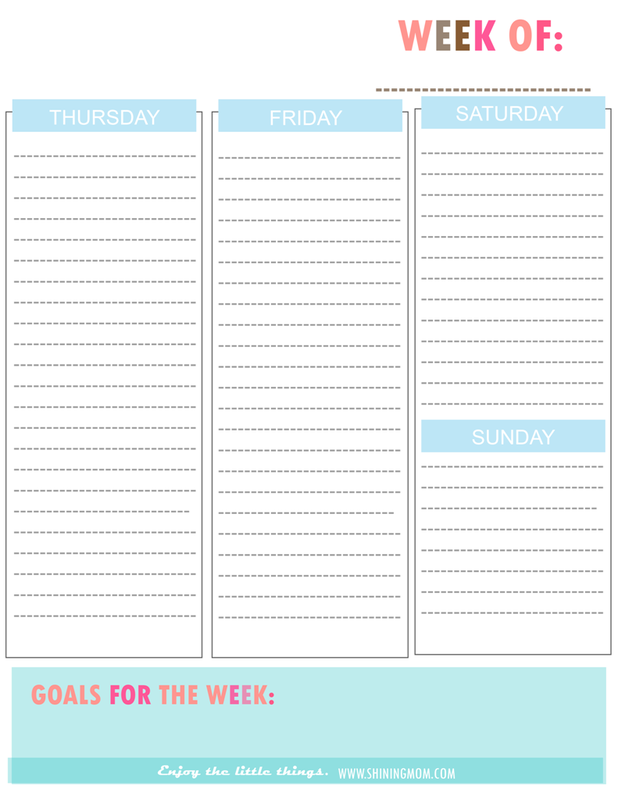 I made our free printable weekly planner pretty of course to inspire us in planning our week! Let’s all have a fruitful, organized and lovely week ahead! Thank you so much for all your printables. I have your website saved to my bookmarks, and I come her often. I seach google for pretty printables to keep me organised, but most of the time I ended up here anyway, so now I just come straight here. Saves me lots of time, and I always end up with the exact pretty prinatble I’m hoping for. Thank you again. So cute! I’ve noticed most of your planners/calendars are really focused on moms (which makes sense as you’re shiningmom) but as I’m still a student I’m just trying to kind of put together my own planner with different items of your planners and calendars. They all look so cute and convenient!